For Dell PowerEdge 1950 1855 1955 2900 2950 M600 R900 SC1430 6800 6850 6900 6950. Dell part number for each dimm is SNPP9F035C/4G. Precision Workstation 490 690 T5400 T7400. NEW PULLS FROM NEW SERVERS. For Dell PowerEdge 1950 1855 1955 2900 2950 M600 R900 SC1430 6800 6850 6900 6950. Dell part number for each dimm is SNPP9F035C/4G and kit is SNPP9F035C/8G. 145689 - JC760 JC759 cables. It can log event data and the most recent crash screen to help you diagnose the probable cause of a system crash. This product has been tested and validated on Dell. Server status monitoring and fault alerting. 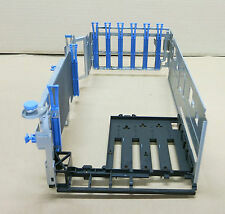 Dell DC382 PCI Card Cage PowerEdge 2900. 1 x Dell DC382 PCI Card Cage PowerEdge 2900. 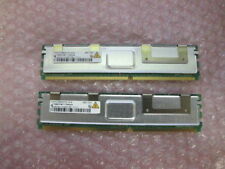 1 x Hynix 1GB 2Rx8 PC2-5300F-555-11 HYMP512F72CP8N3-Y5. Dell PowerEdge 1900, 1950, 1950 III. 31505 1 sets. Part Number(s): CR679, equivalent toJW063. Dell PowerEdge R805. Dell PowerEdge R900. Dell Poweredge 1950 II - 2x 2.33Ghz Dual core 5148 1333Mhz FSB 16GB PC2-5300F. Allows connection of up to 8 SAS or SATA hard drives in select Dell servers, storage and workstations. Case display and board with cables. bargainsold as is. Part number: KC038 or 0KC038. PowerEdge 1900, 2900. DELL CPU Heatsink / Processor Heatsink. Marke Dell. for folegnde models. Part number: MY412 or 0MY412. PowerEdge 1900, 1950, 2900, 2950. Marke Dell. UN939, 0UN939, 341-4341, 341-4349, 341-3874. PowerEdge 840, 860, 1900, 1950, 2900, 2950, 2970, 6950, SC440, SC1430, SC1435. Marke Dell. State / condition: refurbished. Part number: PH194 or 0PH194. DELL PowerEdge 1900, 1950, 2950. Marke Dell. Condition: refurbished. For the model PowerEdge 1900. Original DELL fan assembly. Part Numbers fan / fan: JC915, 0JC915, C9857, 0C9857. Marke Dell. Dual-housing-fan group. Part Numbers assembly: FC328, 0FC328. (Part numbers: 4R338, 04R338). Model: Ultrium (C7369-00906). Original DELL LTO 100 / 200GB Tape Drive. among other things, suitable for the following Dell PowerEdge Servers Capacity: 100 GB (native), 200 GB (compressed). Part number: GC401 or 0GC401. - PowerEdge 1900. - PowerEdge 1950. - PowerEdge 2900. - PowerEdge 2950. - PowerEdge SC430. - PowerEdge SC440. (Part numbers: WD326, 0WD326). for the model PowerEdge 1900. Marke Dell. ISBN Nicht zutreffend. Storage: 438GB HDD (3 x 146GB HDD). INCLUDES 3 X HDD. Motherboard: Dell P/N: 0TW855 TW855. 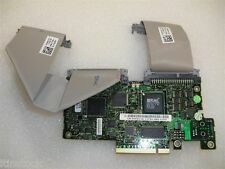 Dell CN-0HF187 Optiplex 56k V.92 Internal Pci Modem Card. Server Specifications System isOff-Lease Server, Tested, Used with a 1 Year Velocity Tech Solutions Warranty. The 2 hard drives are cabled directly to the motherboard. 2 Rohs 16 AWG Powercords included. Vibrant Technologies focuses on Enterprise IT Hardware sales. Poweredge 1900 2.33GHZ QC 8MB, 4GB/3x146GB SAS 15k, Perc 5i Raid, DVD. Vibrant Technologies focuses on Enterprise IT Hardware sales. Vibrant Technologies. Enterprise IT Products. DELL Part # JC915 C9857. 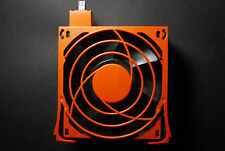 DELL: Ventilateur / Fan - Pour / For PowerEdge 1900 2900 (Nidec M35556-35). GU186, 0GU186,E2K-UCS-51,CJ027, 0CH027, PD147, 0PD147, MG129, 0MG129. UN939, 0UN939, 341-4341, 341-4349, 341-3874. PowerEdge 840, 860, 1900, 1950, 2900, 2950, 2970, 6950, SC440, SC1430, SC1435. Für DELL PowerEdge 1900, 1950, 2950. DELL CPU-Heatsink / Prozessor-Kühlkörper. PowerEdge 1900, 2900. für folegnde Modelle. PowerEdge 1900. - PowerEdge 1950. - PowerEdge 2900. - PowerEdge 2950. - PowerEdge SC430. - PowerEdge SC440. Für das Modell PowerEdge 1900. Original DELL Lüfterbaugruppe. PowerEdge 1900, 1950, 2900, 2950. für folgende Modelle. Chassis is a Tower Unit. Disk Storage Options: Call for options, various Powervaults attach. Velocity Tech Solutions 1-888-784-2088. We specialize in Dell and HP servers and parts. Peripheral Bay: Support for 2 1/2 height devices. Modell: Ultrium (C7369-00906). Original DELL LTO 100/200GB Bandlaufwerk. Kapazität: 100 GB (nativ), 200 GB (komprimiert). unter anderem passend für folgende DELL PowerEdge Server 24 MonateGewährleistung auf Neuware, auf Gebraucht- und refurbished (überholte) Ware 12 Monate Gewährleistung.